On February 6, in the city of Atyrau, the second match of the “Astana” away series against «Barsy Atyrau» took place at the National League of Kazakhstan. At the end of the match, the capital basketball players had an even more crushing defeat on their rivals — 54: 109 (11:26, 9:29, 20:25, 14:29). The games with the green-and-white in the framework of the «regular season» came to its logical conclusion, «Astana» became the winner with the score 6: 0 left. Dmitriy Gavrilov — 12 points, 9 rebounds, 2 assists, and efficiency 24. Stefan Holt — 12 points, 4 rebounds, 2 assists, 3 steals and efficiency 18. Alexander Zhigulin — 12 points, 2 selections and efficiency 10. Maxim Marchuk — 6 points, 9 rebounds, 2 assists and efficiency 14. Rustam Yergali — 5 points, 2 rebounds, 4 assists and efficiency 10. The next match will be held next week on Tuesday, February 12. Astana players will host the basketball club 'Zielona Gora' in the framework of the regular championship of the VTB United League. Beginning at 7:30 pm, Astana time. Tickets for the match are already on sale on the website Ticketon.kz.. 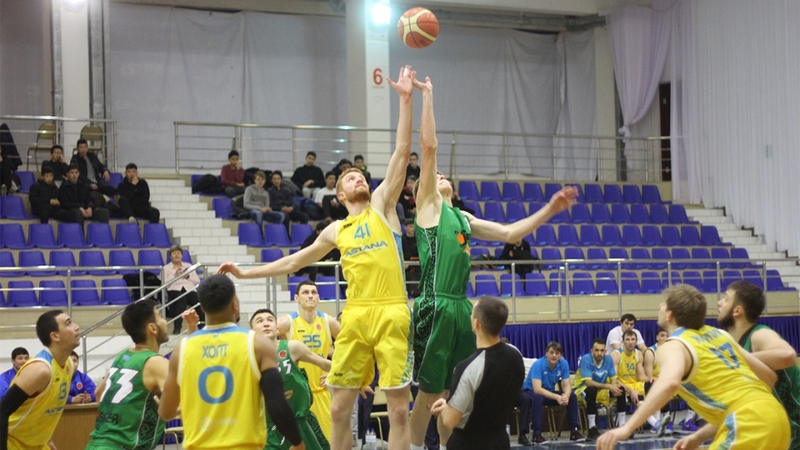 The next series of matches in the framework of the regular championship of the National League “Astana” will be held on the road, on February 14 and 15, the capital basketball players will meet with “ASU Barsy Atyrau”. Detailed information about tournaments, tournament tables, the schedule and results of matches are published in the section Tournaments.